The painting was painted in 1846 – 1849. Courbet was a true master of portraits. What is interesting, he himself was a model for paintings. The artist managed to write a lot of self-portraits, in which one feels how his skills are gradually growing. We see a fairly young man with half-closed eyes. The pallor of his face is spectacularly shaded by a shock of pleasant chestnut-colored hair. The protruding cheekbones and wings of a rather thin nose are drawn with the help of light shadows. The line of the mouth is deliberately marked with a crimson color. There is a feeling of maximum sensuality of this person. The artist obviously with genuine pleasure conveyed his features, slightly romanticizing the image. Courbet is like himself. The collar of his shirt will open a little, the green jacket is very realistic, and you can read some cynicism on his face. We are captivated by the nobility and the special tact of the image created by the painter. The artist uses quite dark colors, but at the same time the viewer does not create a depressing impression. All the features of the hero are spelled out with extraordinary skill. The lines are so soft that it is just amazing. The face seems to glow from the inside. It radiates an incredible nobility and aristocracy. Hair merge with the main background. The artist does not specifically focus on this particular detail, since it is not the main one. It is important to clearly prescribe the face of the hero, his expression. It is no coincidence that this is a real mirror of our soul. 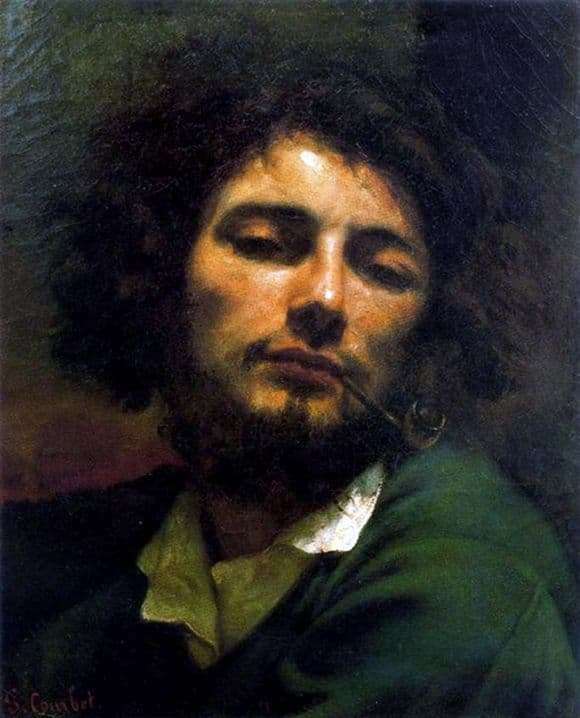 Courbet was able to convey the character of the character simply by registering in a certain way the features of his face. Courbet was a true master who managed to express the spirit of his time in his self-portraits, as well as to emphasize the main features of the person of that time. A somewhat romantic reading does not in the least prevent the creation of the clearest picture of the epoch when Courbet lived and worked.